At Davenport Law, we understand that the idea of bankruptcy can seem confusing and overwhelming, but we will walk you through each and every step. Our clients often tell us that the very first call to us puts their mind immediately at ease. Through many years of experience and expertise in Bankruptcy Law, we know how to immediately take the necessary steps to place our clients back on a road to financial recovery. Brandon Davenport and his staff have over a decade of working with consumers to resolve debt issues. 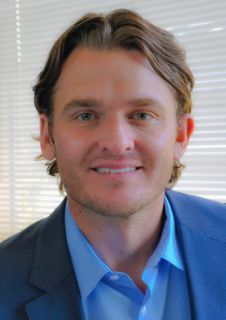 Prior to founding Davenport Law, Brandon Davenport owned and managed a successful financial health management company, assisting thousands of clients by settling over $64,000,000.00 worth of debt in just two years. Brandon Davenport is the Founding and Managing Partner of Davenport Law. Through many years of practical experience, he has earned a solid reputation in many practice areas, including Bankruptcy and Legal Debt Negotiation. His reputation has been achieved through dedication, hard work, and by being a tireless advocate for his clients. Mr. Davenport earned his Bachelor's Degree in Business Administration from Texas A&M, his Juris Doctorate was earned from Baylor University, and his Master of Laws in Taxation from Southern Methodist University.